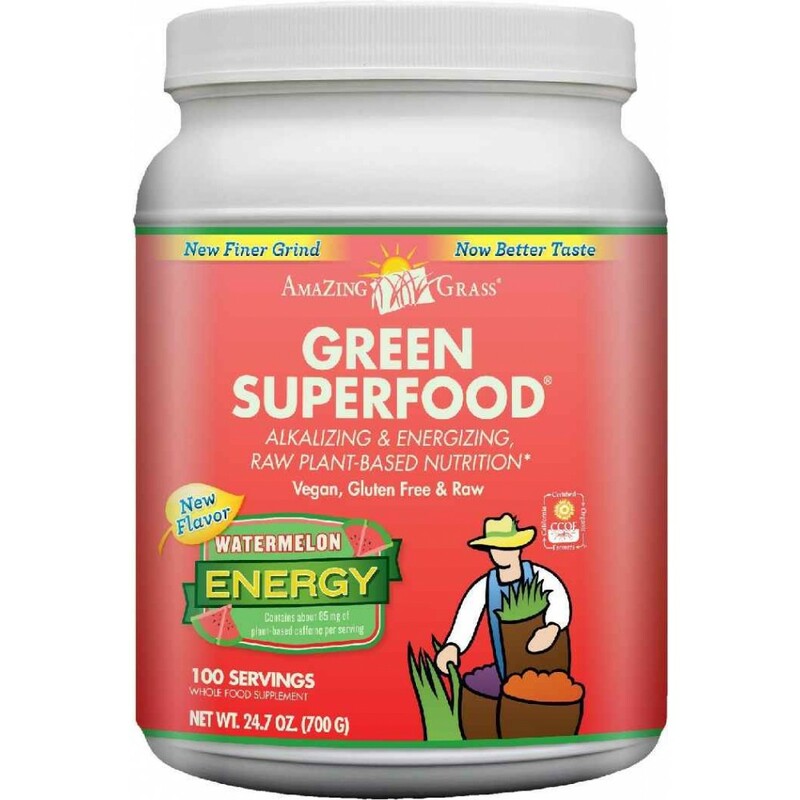 *Imported & Shipped Directly from USA* Vegan, Gluten Free & Raw Helps Achieve ..
A boost of energy with about 85 mg of pure, plant-based caffeine per serving in a cool, crisp Watermelon flavor. 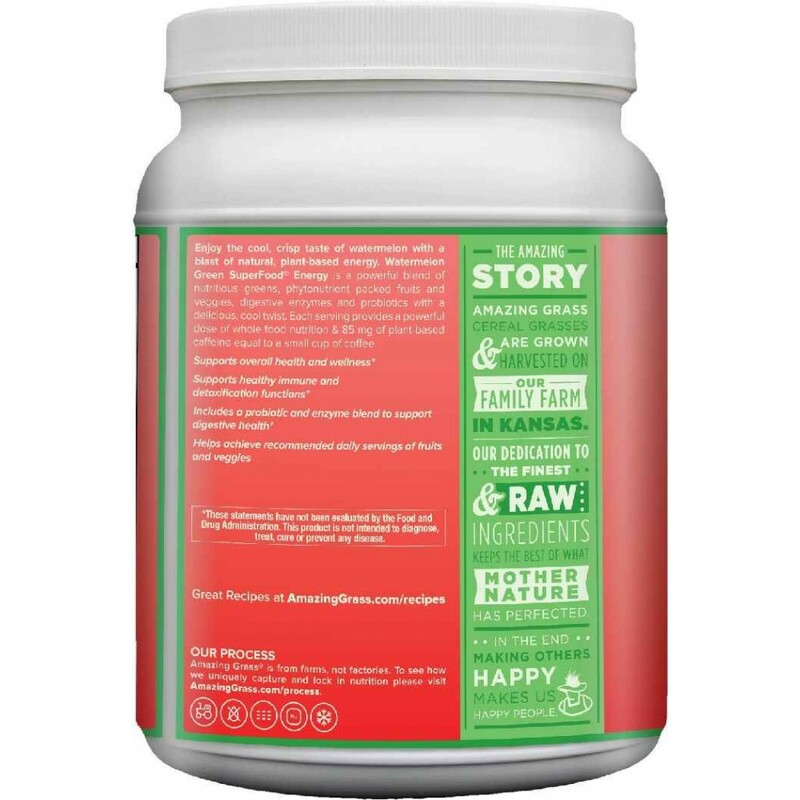 Natural flavors, watermelon juice powder, citric acid, peppermint, stevia and silica. All flavors used by Amazing Grass are Organic Compliant, GMO Free, All Natural, Kosher Parve and Vegan. 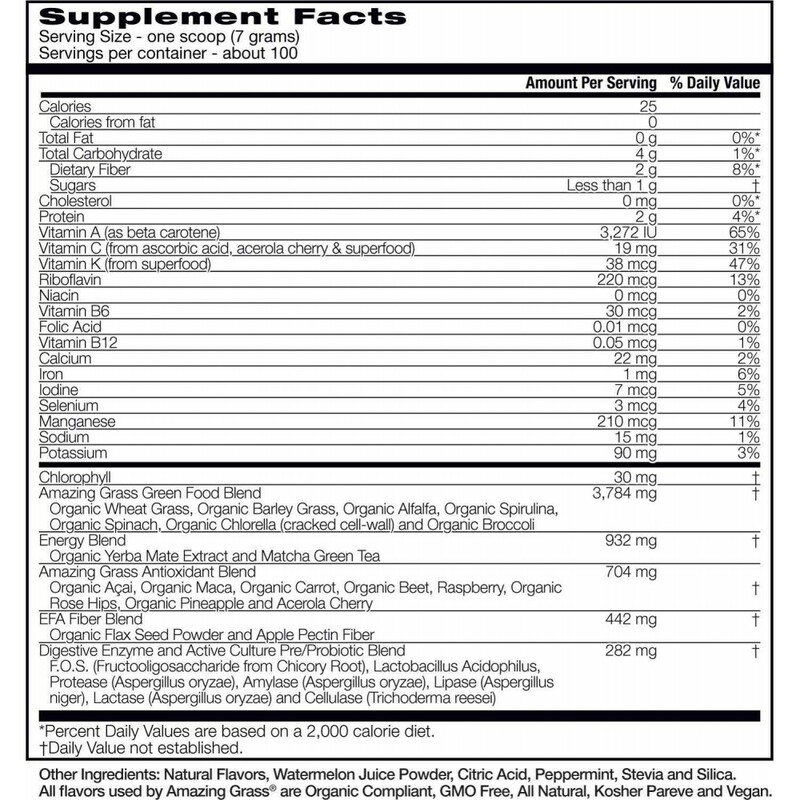 Suggested Use: Mix 1 scoop with 8 or more ounces of water, juice or in your favorite smoothie.